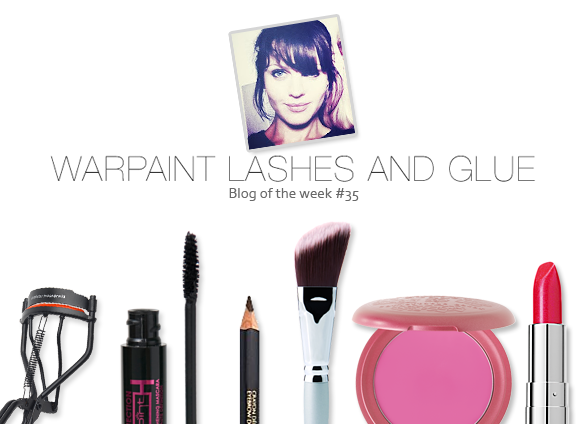 This week’s blog of the week is Warpaint, Lashes & Glue, a place of bona fide professional makeup design that is maintained by the incredibly talented Lucy. The blog is a scrapbook of cutting edge artistry with some awesome photography thrown in for good measure. Lucy is a beauty renaissance woman: not only is she a hair and makeup artist, but she’s also a stylist and an associate lecturer. Phew. The technical brilliance of her work is evidenced all over the blog, from making up musicians to creating fantastical special effects. Even if you have no interest in makeup, the ridiculously exciting stuff that Lucy gets up to is reason enough to make her a permanent fixture to your blog roll! This entry was posted on Friday, September 2nd, 2011 at 8:00 am and is filed under Blog of the Week. You can follow any responses to this entry through the RSS 2.0 feed. You can skip to the end and leave a response. Pinging is currently not allowed.